A recent Washington Post story raises the alarm about the decline of youth sports. The story highlights a study from the Sports & Fitness Industry Association and Aspen Institute that says increasing costs, sport specialization, and improperly trained coaches are all big contributors to the decline. According to the study, almost 45 percent of children ages 6 to 12 played a team sport in 2008. But now that mark is at 37 percent. This line of thinking fits with the study’s outlook on youth sports. It cites an “up or out” perspective—elite teams take only the best, most promising athletes, leaving the majority behind. Those remaining feel discouraged and that sports just aren’t for them. 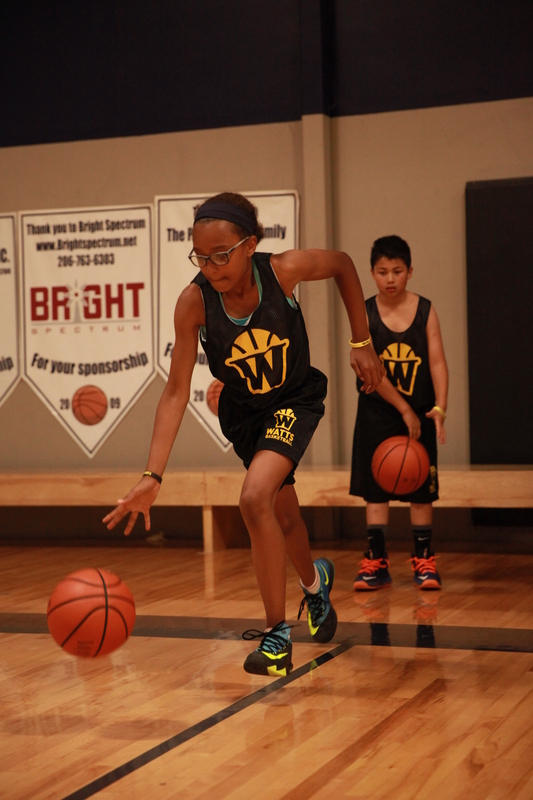 Watts Basketball offers many programs for youth of all ages. If you’re looking for a safe place for your kids to celebrate all efforts, learn from their mistakes, and achieve real accomplishments, sign up for our special Holiday Hoops Camp (plus, it’s not too early to register for our MLK Day camps, too), or check out one of our regular age group classes! Featuring Supersonics legend Slick Watts and his son, former Husky star Donald Watts, Watts Holiday Hoop camps are the perfect way to make this holidays season truly unforgettable for the young athlete in your life. But camps are filling up fast. Don’t miss out, sign up now! Ignite a passion for basketball in your youngest athletes! Specially developed for kids in grades K–3, Lil Dribblers focuses on basic fundamentals and the joy of being active. Sessions are nearly full but we have a few spots available. Click to sign up! Built for athletes in grades 4–6, Future Stars teaches shooting techniques and strategies on how to outsmart opponents. In addition, these classes help explore new basketball skills with creative games and competitions. Click to sign up! The All Stars program is designed specifically for middle school players grades 6–8 and is the best way to get the experience and individualized skills work they need in order to perform their best during the season and for years to come. Attendees learn highly competitive basketball skills, high-level teamwork, and successful shooting techniques. Click to sign up! Are you looking for more personalized attention for the youth basketball player in your family? Then check out Watts Basketball’s private, semi-private and small-group training at our SoDo gym and the Washington Athletic Club. Learn more details here!